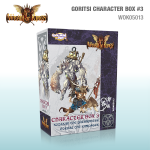 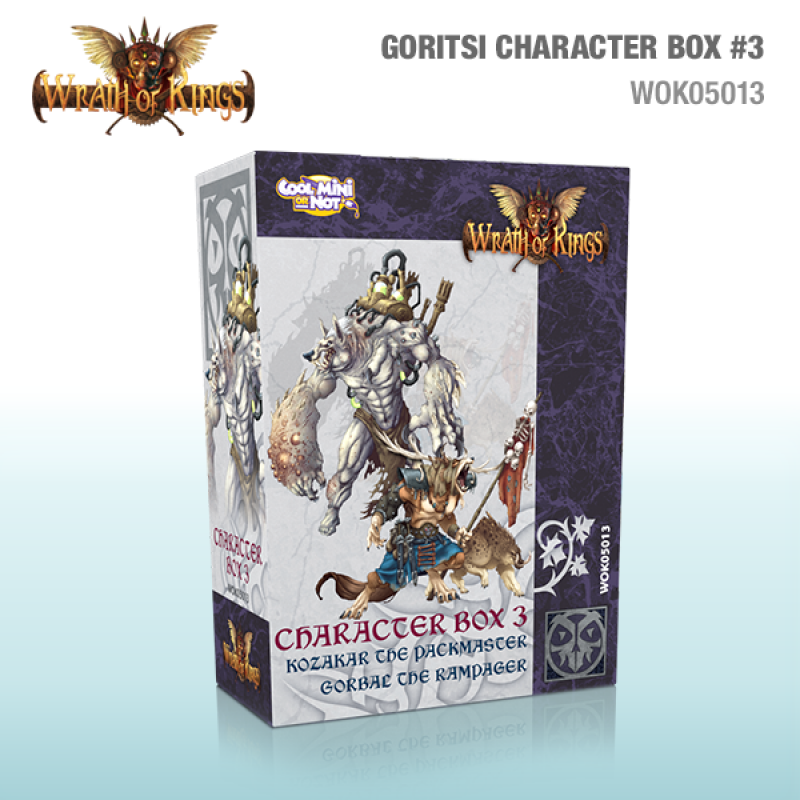 The House Goritsi Character Box 3 contains 1 Kozakar the Packmaster and 1 Gorbal the Rampager! 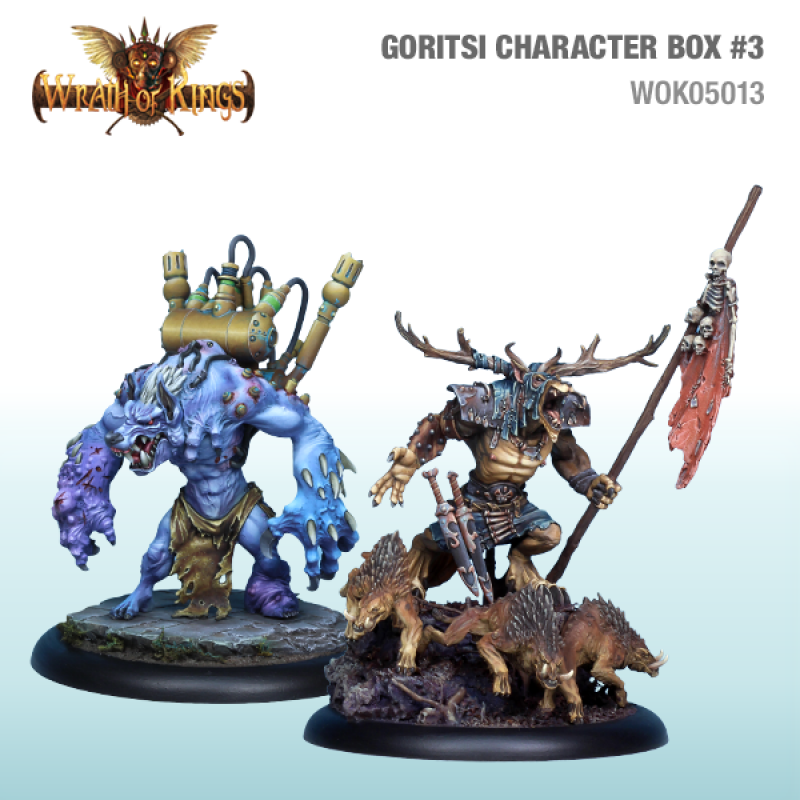 Kozakar is a one “man” army capable of hunting down the largest prey with his pack of vildertosks. 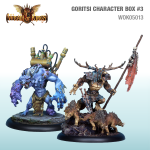 And Gorbal is an unstoppable monster that has embraced his outcast state and should be at the forefront of any Goritsi army.